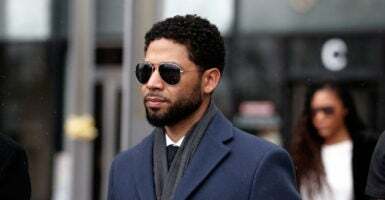 “Empire” actor Smollett, 36, was arrested and charged in February for allegedly filing a false police report, which claimed he was attacked, splattered with a chemical substance, and put into a noose-like rope. The two attackers yelled, “This is MAGA country” in the Jan. 29 attack on Smollett, according to the actor. The actor also delivered brief remarks Tuesday, thanking his family, friends, and the city of Chicago for their support. He again vehemently denied the accusations made against him.